Wheelchair Slalom is an inclusive sport which can be played as a recreational activity, as a competitive sport and/or as an activity to help individuals with disabilities and health problems to develop their confidence, self-esteem, physical and mental health and different social skills. 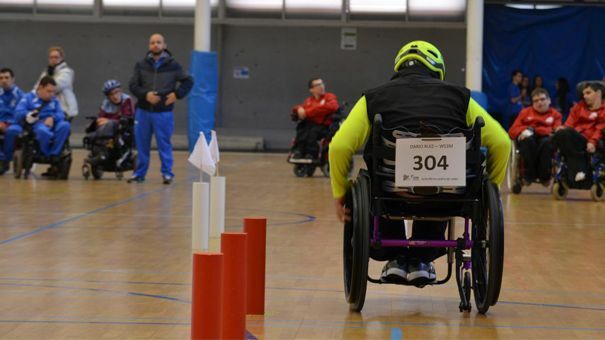 There are different modalities to practice Wheelchair Slalom: individual or team competition. Each one has different proves like the timed test or the fixed and variable circuit. Wheelchair Slalom will be part of the World Games competition with a previous training camp for all the participants and an open tournament. From 8th to 9th August all the teams who wanted could participate in a techical practices with some of the best Wheelchair Slalom coaches to improve their skills. From 10th to 11th, after the training camp, athletes will have the opportunity to compete.